THE Gloucestershire Warwickshire Steam Railway (GWSR) began a new chapter in its history on December 23 when the first train since March 7, 1960 rolled into the platform at Broadway station. The seminal moment came shortly after volunteers laid the last rail lengths to connect the re-created station to the rest of the GWSR. The ‘first train’ consisted of the line’s permanent-way train hauled by Class 73 No. 73129 and Type 1 No. D8137, which was propelled into platform 1, alongside the new station building, to drop ballast. The work carried out was thanks to the huge success of the GWSR’s ‘Broadway: The Last Mile’ share offer, launched back in 2016. 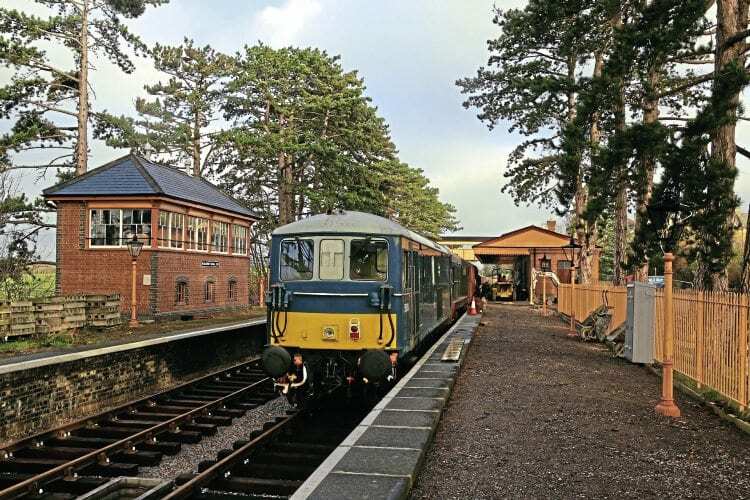 The offer raised more than £1.3million, which enabled the railway to acquire the necessary materials, including brand new rail, as well as allowing work on the station building to be finished; the original station building was demolished in November 1963.